Traditional Venetian mask is made out of paper mache, hand painted with acrylic paints and decorated with gold trim. 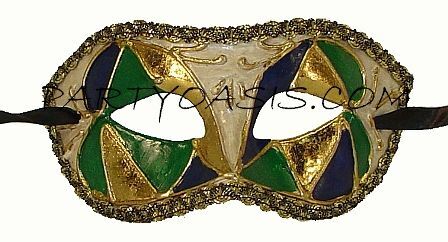 Easy to wear to any Masquerade Ball, Carnivale in New Orleans, or Mardi Gras themed Event. Comes with ribbon ties.